Snacking is the time when you are hungry and might end up eating those ditched whites (sugar, all purpose flour) or somethings fried. Watching movies and end up eating a pack of chips or popcorn? 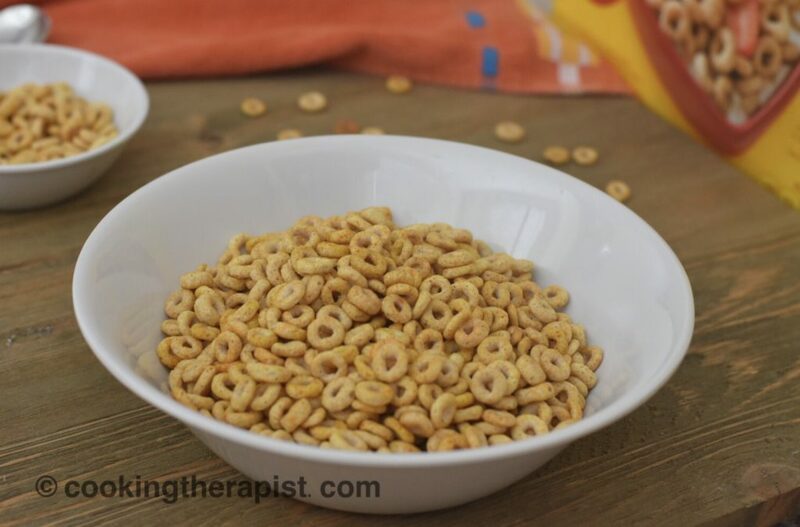 Eating Masala Cheerios is great idea of eating healthy while you are hungry or craving for crunch. It is a great alternative for puffed rice (mamra) too. Got this idea from my cheerios bhel puri recipe and puffed rice (Mamra), In India we used to make puffed rice with flavor of turmeric for snacking and we love to munch that but the problem is it processed rice so for making it little healthy I have used Cheerios in this recipe and it tastes awesome. 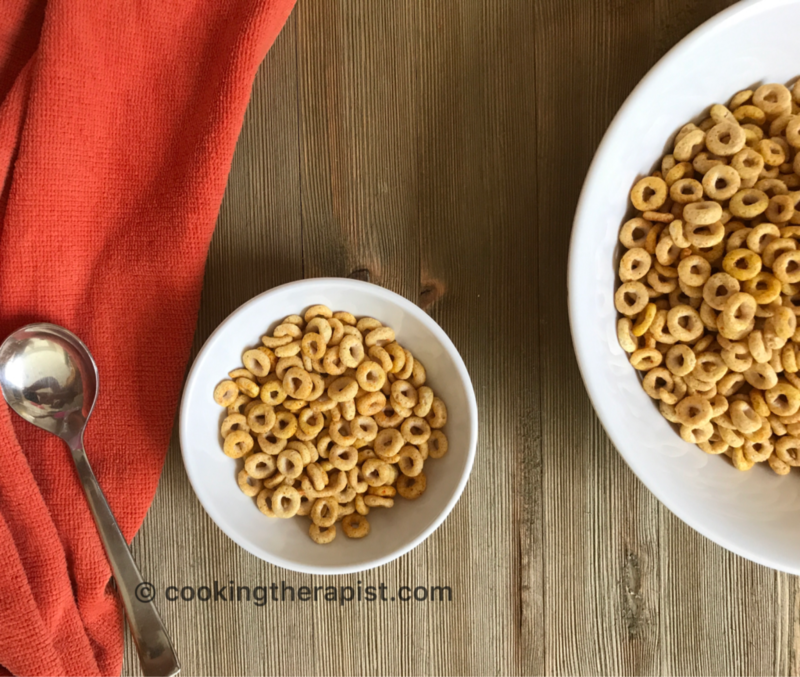 I have used general mills original cheerios (no flavor or sugar added) which is a best cereal to have it. Check here which one. Cheerios are great finger food for Infants and good for all. It contains oats, so a small bowl of it make you feel satisfied and low calories. Add your favorite nuts and tiny cheese cubes like paneer/ fresh mozzarella for making it wholesome. 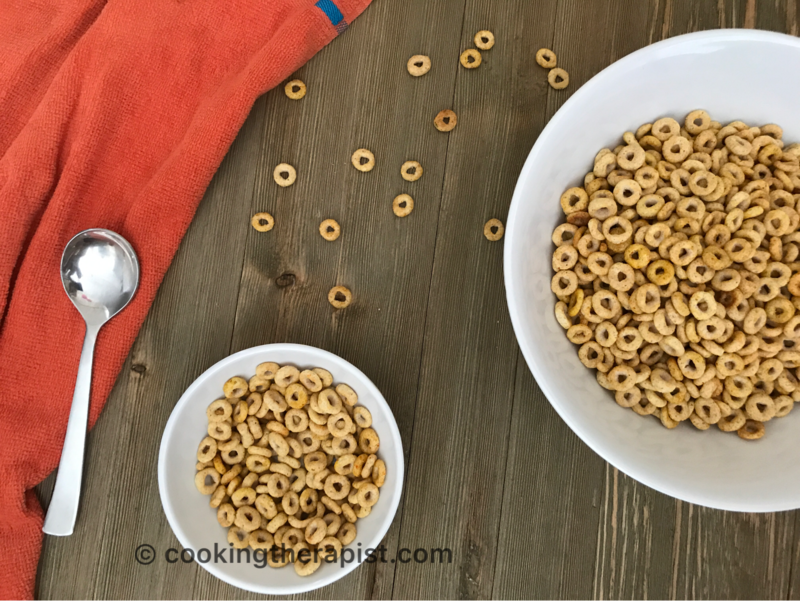 Roasted cheerios with flavored with Indian spices and great alternate for high calorie crunch. First of all add oil in the pan, once oil is hot add asafetida, salt, turmeric. Add Cheerios and mix it well. Roast it for 3-4 minutes and finally add red chili powder and mix all well. Shut the flame off and crunch is ready for munch. Add any flavors or seasoning of your choice. Once it is cool down store it in a airtight container. 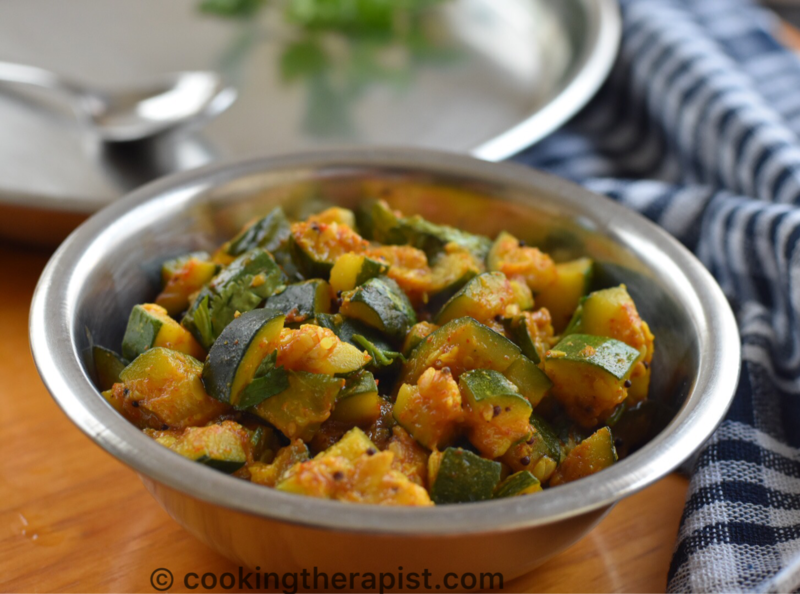 If you are making it for infant/ babies then skip red chili powder. You can make Cheerios trail mix by adding your roasted nuts into it. You can have it with guacamole as a nachos. Do try this and let me know your feedback.